The snow has been gone for a couple of weeks and all the promise of spring and a new growing season is evident. As we make our way through the gardens, cleaning up after a long winter, the smell of soil wafts through the air. If I was a four-legged animal I think that I just might have my nose in it snorfling around. There is nothing quite like the smell of the earth in spring! But alas. there is lots of work to be done, dividing perennials and grasses, pruning shrubs, removing plants that did not make it through the cold months or that were badly damaged by the heavy snowfall, and of course weeding out those pernicious weeds that hung on over the winter months. Every task undertaken reveals another aspect of spring life, and all of the small critters that live in the soil – earthworms, beetles, sow bugs, centipedes, millipedes and more. What I once thought of as creepy bugs have become a sign of a healthy soil environment, or a problem that needs attention. While all that bug activity is going on in the soil, there is a lot happening up top too. The delicate blossoms of the Witch Hazel (Hamamelis spp. )are the first sign that winter is on its way out. Starting in March (in our part of Western Canada) the colour and spicy fragrance of the flowers awaken a gardener’s senses after the long winter months. 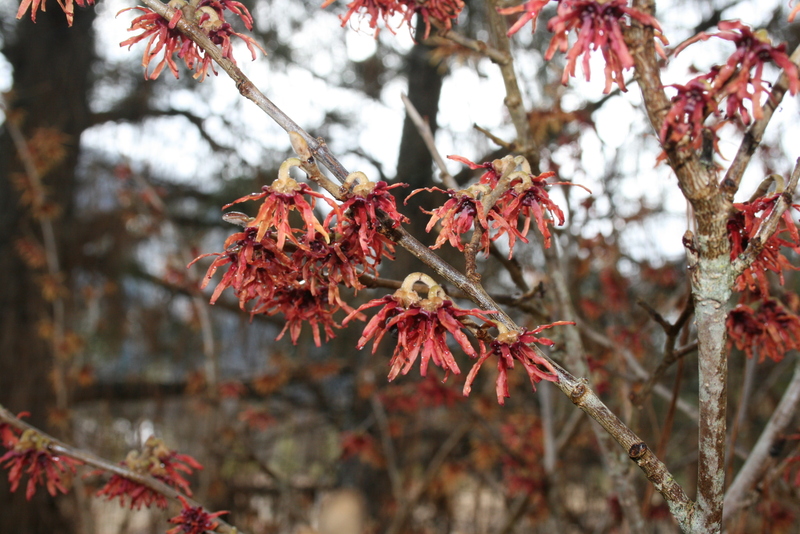 Following in the blossoming tracks of Witch Hazel are spring bulbs. 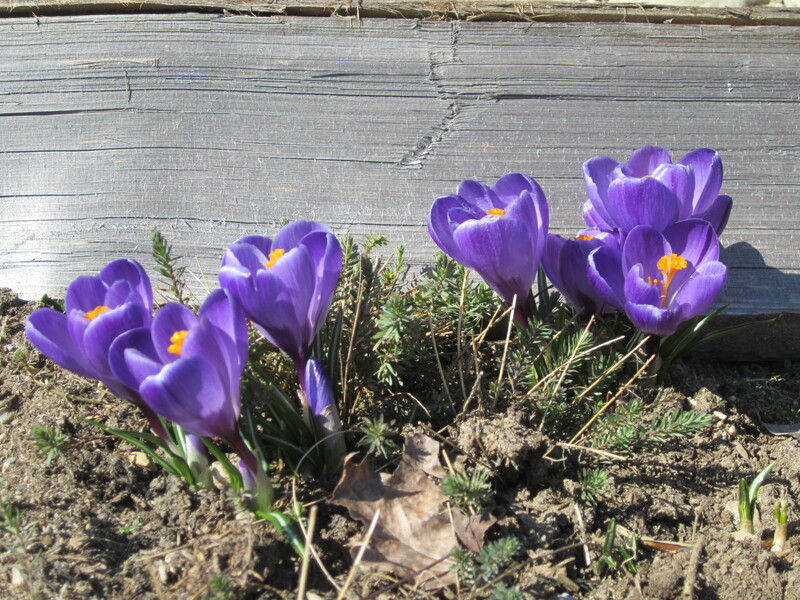 Crocuses, in particular, have a rather anxious habit of readiness in the spring time. As soon as the snow is gone, and with a few warm days, they are ready to burst into blossom. 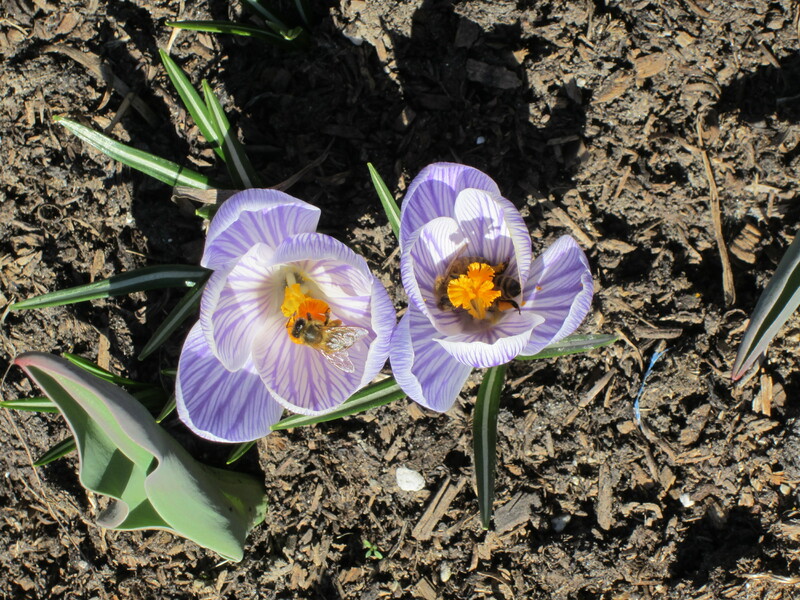 If you have interest in attracting and feeding pollinators early in the spring, crocuses are a fine addition to the landscape. As an early bloomer they are the first plants in our gardens that offer pollen for the honey bees and wild bees. It’s easy to be distracted by the bees intent focus and pollen gathering methods, so much so that the cleaning up tasks can be slowed down considerably. 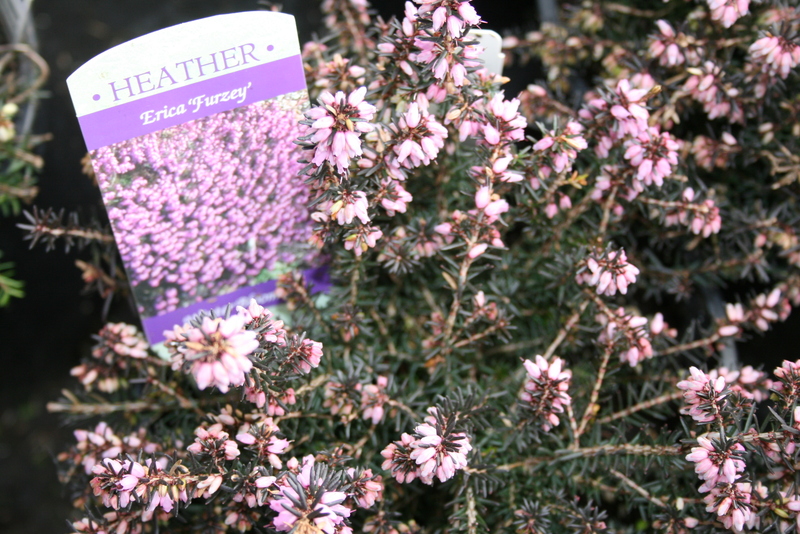 The next plant in line to bring colour to the garden is winter heather (Erica spp.) The evergreen foliage and early blossoms not only offer visual spring freshness, but an abundance of nectar for the pollinators. When in full blossom a clump of heather can have a very audible hum, which heightens our sensory gardening experience even more!